On October 3, 2015, new rules took effect that will change decades-old aspects of buying and selling real estate. Although there are many aspects to the rules, there is one that is critical to you and should be understood before signing any documents. So, what do you absolutely need to know? Your closing date can no longer be set in stone. The “closing date” is the day that you sign documents, the deed is recorded, and most importantly, YOU RECEIVE YOUR SALE PROCEEDS! The closing date is established in the written offer and the “Purchase and Sale Agreement” that you will sign at the beginning of the process. As the Seller, you are expected (and contractually required) to deliver the house fully vacant and clean on the closing date. For eons, the days leading up to a scheduled closing date often resembled a grade school fire drill. Although the parties fully expect and have planned to trade money for keys on the closing date, the days and hours leading up to the closing date are usually full of last minute closing chaos. The lender may have not issued a final loan approval, and the buyer is scrambling to comply with the lender’s last minute request for a certain document. The document is received, but after review, another document is required. The lender reviews the second document late in the day, a final underwriting review takes place, and presto, the “clear to close” finally issues. The file is then transferred to the lender’s closing department, and an hour before the scheduled closing a closing package is delivered to the closing attorney. The closing attorney plugs numbers into the software program and sends the buyers and sellers “closing numbers” (how much does the Buyer need to bring; how much will the Seller receive). The Buyer runs to the bank and waits in line for a treasurer’s check. Five minutes before the closing, the Buyers (AND SELLERS) arrive at the closing attorney’s office. Pens are distributed, and a blur of document signing follows! Due to the new disclosure rule (TRID), the pre closing scramble will be a thing of the past. Under the new rules, no closing can take place until the third business day after A) the buyer’s loan has final approval; B) the lender has issued to the Buyer and the Buyer has acknowledged receipt of a document called the “Closing Disclosure” (“CD”). The CD contains the “closing numbers” and informs the Buyer what they needed to bring to the closing. The wonderful thing is that the Buyer and Seller have 3 days to carefully review numbers before documents can be signed. The not so wonderful thing is that the Buyer cannot waive the three day requirement, so situations may exist where the closing date in the purchase and sale agreement cannot be met due to the waiting requirement. Under these new rules, the number of instances when closing delays occur will increase dramatically. Buyers (and their brokers and attorneys) will have far less control over the date your sale actually closes, regardless of what is in the purchase and sale agreement. This is not the Buyer’s “fault”. Rather, the federal government has mandated that there be a 3 day period where there used to be none. Be flexible and patient – remember, delays will happen, your buyer will be as stressed as you! Be prepared – if there is a delay, how will your mover handle it? Consider whether the mover can make a change last minute: What will the mover charge if they store your things on a truck during the delay; Do you have a place to go if your furniture is on a moving truck? Avoid the busiest closing dates – traditionally, most closings are in the last couple of business days of the month. Speak with your broker about avoiding these dates before you sign your initial offer. Reserve rights – if you are buying as well as selling, be sure to reserve the right in your offer and subsequent Purchase & Sale Agreement to delay your purchase closing if your sale gets held up. Help yourself and the Buyers: SELLERS can help themselves and the BUYERS to close on time by providing any and all requested information in a timely manner. Final Readings and/or adjustments, Smoke and Carbon Monoxide Detector Certifications and Title 5 (Septic System) Certifications should all be provided to the Closing Attorney’s Office a promptly so that no delays are caused by the Sellers. Big Foot Moving & Storage, Inc. has the manpower, resources, and infrastructure to give you the flexibility needed. We take great pride in serving our customer’s needs. Last minute schedule changes are stressful for Buyers and Sellers, but already common in our daily dispatching. If your home closed, but the new home closing is delayed, Big Foot will hold your belongings on a locked and sealed truck until the new home is available. We charge $150.00 per night, per truck needed. This $150.00 per night, per truck is called an “Overnight Hold Fee” and the shipment is simply kept on the truck (s) at our facility safe and secured. For further information on how TRID may affect your move, please feel free to contact our office at 781-488-3090 or email us at info@bigfootmoving.com. Big Foot Moving & Storage, Inc. knows that there are certain items that need special protection such as family heirlooms and antiques. These items are simply irreplaceable if broken or damaged, making proper packing techniques an absolute must. Different types of family heirlooms will require different packing methods to ensure their safety. Before you begin packing any family heirlooms, organize a document that records the current condition of any items, including any pre-existing damage. This document will allow you to keep track of all the items you have packed and make sure that none of them are harmed in the packing, storage, and moving process. One of the key tricks for packing fine china, pottery, porcelain, or other highly breakable heirlooms is double boxing. First, pack items carefully into a single box. Add newsprint inside any glasses, vases, or other open vessels to support them. 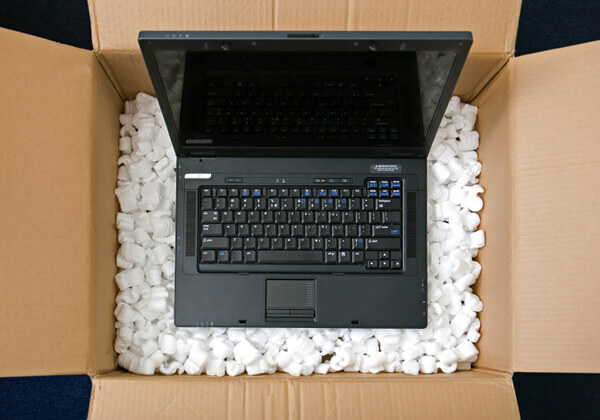 Make sure that all items are well padded with newsprint, packing peanuts, and other cushioning materials before sealing the box. Next, place that box inside a larger box and add padding around all sides to cushion the inner box in the event that it is dropped or bumped. These items cannot be replaced, so there is no reason not to be extra careful in the packing process. Furniture can be difficult to pack because it is so large. You can’t simply box it up and put it away. You should, however, take apart any components that can be separated, such as headboards, mirrors attached to dressers, and dresser drawers. Wrap all chair, table, and sofa legs, as well as any delicate corners of your heirloom furniture in bubble wrap to protect it from being bumped. Where there is upholstery involved, cover with blankets or other cloth covers to prevent tears, rips, or stains. When packing heirloom furniture, never stack pieces. When packing paintings, start by covering the entire piece with glassine paper, followed by clear plastic. Paintings should then be surrounded with cardboard and padding for the move. It is also possible to get custom crates made for packing and moving art. Always stand paintings up when moving them; laying paintings flat makes it tempting to stack things on top of them. 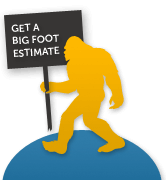 Of course, the best protection is choosing top-notch moving and storage experts, such as Big Foot Moving & Storage, Inc. However, before you move any family heirlooms, be sure to have them scheduled on your renters/homeowners policy. While mover’s valuation protection can’t replace a lost or damaged item, it can at least provide compensation for any harm done to heirlooms in the packing and moving process. Big Foot may be gigantic and hairy and sometimes he smells like the forest, but he is nothing to be afraid of. He’s a big softy and never means to scare anyone. Unfortunately, there are less friendly creatures out there and Big Foot wants to make sure you stay safe. There are plenty of options when it comes to choosing a mover. You may pick a mover out of the phonebook, based on a friend’s recommendation, or because of a website. Of all your options, considering a licensed mover is always the best way to go. In fact, for many people, choosing an unlicensed mover has had dire consequences: potential damage, theft, and even extortion. Choosing a licensed, professional company like Big Foot Moving & Storage, Inc. can save you and your belongings from this fate. One risk of using an unlicensed mover for transporting your possessions is that their trucks and other infrastructure may not be as high quality as it needs to be. Unlicensed companies have been known to send uninsured, unsafe trucks to pick up and move possessions. In the event of lost or damaged goods, then, consumers have no recourse through company insurance. Theft is not an uncommon result when using unlicensed movers. Sometimes these movers simply steal a few items, choosing from among the wealth of objects loaded on to their truck; in other cases they have been known to drive off with an individual’s possessions in tow. You can be sure this never happens when you use a licensed, professional moving, and storage company like Big Foot Moving & Storage, Inc. to pack and move your valuable possessions. There have been several recent cases of extreme extortion linked to unlicensed moving companies. These deceptive companies assert that a move will cost one price, and upon loading up your possessions then change that price to something much higher. If customers then refused to pay the new, higher price, these unlicensed companies would hold their possessions hostage. These predatory movers may also demand one price to simply unload the truck or a much higher price to actually complete the move. Dealing with predatory movers can be dangerous, but this can be avoided by choosing a well-vetted, professional moving and storage company like Big Foot Moving & Storage, Inc. When preparing for a move, your library of books may fall on the bottom of the priority list. After all, books are fairly regular in shape and seemingly easy to pack in a box. However, some books are heavy and others may be fragile. Try these packing tips from Big Foot Moving & Storage, Inc. for preserving your library – and your back. One of the key tricks to successfully packing your home library is to keep box size small. Books may be regularly shaped, but they are quite heavy. If you choose too large a box, while it may efficiently hold a significant chunk of your library, it will also be difficult to lift. While it may seem inefficient to pack a lot of smaller boxes, being unable to lift your book boxes is certainly even less efficient. Before putting books into boxes, separate them out into hardcover books and paperbacks. Within those categories, organize your books by size. These groupings will allow you to fit the greatest number of books possible into each small box. While combining paperbacks with hardcover books may seem like a good way to lighten a box, it can result in damage to the paperback editions. Once you have placed as many books into a box as possible, look for any gaps or empty spaces. Use bubble wrap or packing paper to fill in these gaps. This helps to avoid shifting during the moving process, a common cause of damage to book collections. Additionally, if your books are going into storage with a full-service company like Big Foot Moving & Storage or if they will be kept in boxes for an extended period of time, add a silica gel packet to the boxes. This will absorb any moisture that could harm your books. After your boxes are packed and sealed, clearly mark that they contain books. This serves as a warning to anyone lifting the box that it may be rather heavy. Clearly marking book boxes is the best way to avoid injury when packing and moving your library.